Thank you for taking an interest in our unique children’s Clinical Research Facility (CRF) at Royal Manchester Children’s Hospital. We hope that you will find here all the information you need with regards to children and young people taking part in our studies. Children and young people who participate in studies are often unwell or are undergoing treatment for long term conditions. We understand that this can be a worrying time for parents, often not helped by visiting an unfamiliar place. Hopefully our “Frequently Asked Questions” – listed below – will help to answer some of your concerns. If you still have questions about participating in a study at the CRF, please get in touch with us. Why is it important to test medicines in young people? Unlicensed – where the medicine is used outside the terms of the licence – e.g. by giving the medicine in a different form to how it was made. (A large tablet may be ground down into powder and mixed with a liquid, to make it easier to swallow). In 2007, the European Union introduced a legal requirement to ensure that all medicines are researched, developed and authorised to meet the therapeutic needs of children. This requirement was introduced to ensure that suitable, authorised medicines are available for young people, and to reduce the chance of the medicine being ineffective or leading to side effects. The facility is based in the Children’s CRF ward on the first floor at the Royal Manchester Children’s Hospital. From the hospital’s main entrance take the lift to the first floor. The facility is on the left as you step out of the lift. Directions can be found here. This depends on the research study and can range from a few hours to a several days. What is the average frequency of visits? Again, this varies from study to study, but can range from once a month to once a week, or even more frequently. What should we bring for outpatient stays? There are no special requirements for things to bring to an outpatient visit. What should we bring for inpatient stays? For inpatient stays please bring an overnight bag with any toiletries you may wish to use. Also bring pyjamas and a change of clothes. Yes, there are pull-down beds at the side of the child’s bed for one parent or carer to stay overnight. Yes, there are two single rooms available. Do inpatients need to stay on the unit all of the time? This depends on the study, although it is more likely inpatients will stay on the unit so that they can be observed closely. Are meals provided for parents and children? All children’s meals are provided. Depending on the individual study, some meals may be provided for parents. See below for details of the hospital restaurant and other food/ refreshment outlets nearby. What kind of entertainment facilities are provided? We have a play room and a chill out room that include books, games, Playstation 3s, DVDs and TVs, as well as many other toys and activities. Can we bring our own electrical equipment? If you choose to bring your own electrical equipment it must be tested for safety by the hospital’s engineering department before it can be used. Please speak to a member of staff to arrange this if needed. 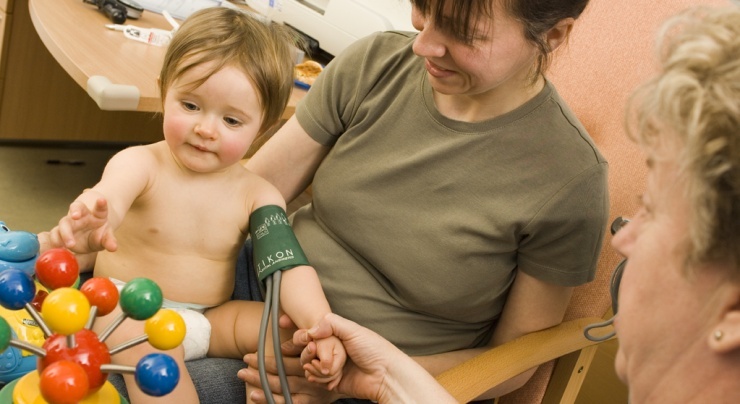 Are children cared for by the same doctors and nurses that they regularly see for hospital appointments? The same doctor may care for you during your stay. If this is not the case, your doctor will be aware that you are taking part in a research study. The nurses that care for you will not be the same as the ones you see during your appointments. This is because our specialist paediatric research nurses only work within the research facility. Does taking part in a research study affect normal care? No, normal care will continue as planned. Your doctor will be aware of your participation in the study. Are there any benefits in taking part in a research study? Yes there are. It might mean that new medication can be prescribed that may be suitable for your child and for other children in the future. Most studies also involve a thorough health check. What happens when studies are complete? At the end of the trial when all the results are available, your doctor will inform you of the findings. Is there reimbursement for travel expenses? Most (though not all) studies will reimburse you for travel expenses and you may be provided with a taxi. Yes there are a number of car parks around the hospital. The nearest one to our facility is Hathersage Road car park, which is a five minute walk away. Please be aware that there is a charge for parking within the hospital car parks. There are also a limited number of disabled parking bays at the front of the hospital. Do parents need to accompany children throughout the study? All of our nurses are paediatric trained, so your child will be safe at all times should you choose to leave them. Can mobile phones be used on the unit? There are areas where you may use your mobile phone unrestricted. Mobile phones shouldn’t be used near sensitive medical devices as they may interfere with the equipment. Please ask a member of staff if it safe to do so before using your mobile phone. Are there any restaurants/ shops nearby? Yes, within the children’s hospital there is a restaurant and a coffee shop. There are also numerous shops on the hospital campus, and on Oxford Road just outside the hospital grounds. Where can I find out more information about children taking part in clinical trials? www.healthtalkonline.org shares first hand experiences from parents and children taking in part in trials, how they found out about the trials and why they took part.